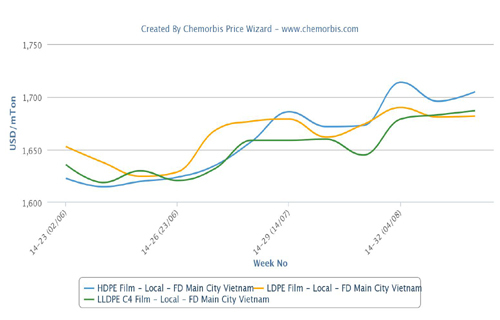 According to ChemOrbis, players operating in African PE markets generally voiced their complaints about slow end product demand with only a few seeing slight improvements ahead of approaching Ramadan. Buying interest for imports is not that healthy across the region while the ongoing cash flow constraints and depreciating local currencies against the US dollar add to the situation. However, when buyers want to make fresh purchases, they face limited quota amounts from the Middle Eastern producers. Restricted import availability from the Middle East has been an issue for quite some time and it has resulted in very large increases, up to three-digits. Nowadays, African players, despite their lessening tolerance towards the relentless price increases, note that they might be facing another round of increases in June given the continued availability problems. In Kenya and Tanzania, players report seeing slight improvements on their end product demand while they continue to highlight the limited supplies spared by the Middle Eastern producers. An Algerian buyer complained about not hearing any PE offers from a major Saudi producer while highlighting the tight supplies, especially for HDPE b/m in that country. “PE demand is improving but it is mostly due to the tight supplies, not due to the end product markets,” he further added. In Tunisia, a converter also confirmed that the import Middle Eastern supplies are tight and PE prices see support from this situation. An Egyptian buyer, who runs their plant at 60% capacity, said, “Our end product demand is below the levels they should be. However, given the limited supplies, we expect to see slight increases in June, too. 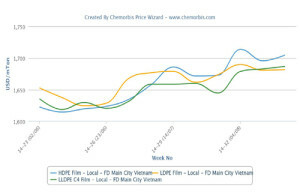 Nonetheless, we like to think that prices will be on their way to stabilizing after next month.” Another converter, highlighting that HDPE film cargoes are the shortest, noted that weak demand and tight supplies offset each other.